Most people are familiar with the name “Jesus,” but relatively few truly know who He is. This is tragic because a right understanding of the Savior’s identity and mission is directly related to every person’s eternal destiny. How is it possible to know who Jesus Christ is and what He did? The Father has provided a completely trustworthy source: the Bible. The wise person will regularly spend time in the Word to gain knowledge of the Savior and develop a deep relationship with Him. Scripture tells us that Jesus is God: Christ existed before His own birth—in fact, even before time began. The prophet Micah spoke of His ancient origin (5:2), and Paul named Him as the Creator (Col. 1:5-6). Jesus claimed equality with the invisible God and was the perfect reflection of Him (John 10:30; 14:9). The Savior performed miracles—such as restoring the dead to life—that were possible only by supernatural power (John 11:43-44). The Lord received worship and forgave sin, two acts that are acceptable only for Deity (Matt. 9:2-8; John 9:38). Think about Jesus coming to earth as a baby. Imagine the power resting in that little manger—the omnipotent God was lying in a trough made from trees He had created, under stars He Himself had strewn across the sky! Scripture makes it clear that there is only one way to eternal life: by trusting in Jesus Christ as Savior (Acts 4:12). Weigh the evidence, and then make a wise decision to follow Him. Matthew 16:13-19; 13When Jesus came into the region of Caesarea Philippi, He asked His disciples, saying, "Who do men say that I, the Son of Man, am?" 14So they said,"Some say John the Baptist, some Elijah, and others Jeremiah or one of the prophets." 1 He said to them, "But who do you say that I am?" 16Simon Peter answered and said,"You are the Christ, the Son of the living God. "17 Jesus answered and said to him, "Blessed are you, Simon Bar-Jonah, for flesh and blood has not revealed this to you, but My Father who is in heaven. 18 And I also say to you that you are Peter, and on this rock I will build My church, and the gates of Hades shall not prevail against it. 19 And I will give you the keys of the kingdom of heaven, and whatever you bind on earth will be bound in heaven, and whatever you loose on earth will be loosed in heaven." You must stand firm in prayer for your family, your territory, your friends as well as your self. Stand in prayer or become a prey. Nothing moves until someone moves it. The greatest force existing today is the force of prayer born out of insight. Why? It is capable of moving the heavenly to respond to your quest according to Gods will on the earth. It is capable of breaking through in the spirit to have results in the natural. No one gets what he wants without him fighting for it in prayer. Prayer is fellowship, prayer is contending, prayer is equipping, prayer is building. All this are spiritual, there aren't naturally based, so you don't use feelings to determine them. The day you allow your feelings determine your prayer you have decided to become a leaf tossed and blown every direction of the wind. You have an issue, pray about it, don't worry about it. Your worry or crying can open a gate to the demonic. Instead rise up like a lion and go and talk to the Lion of the tribe of Judah. That situation is too small. You are the saviour of ur home, the day u rise , you will live to remember that day. Situations will die out, u become fearless, less considerate about this fading world and more focus on the reality. The bible says; Jeremiah 33:3 “ Call to Me and I will answer you and show you great and mighty things, fenced in and hidden, which you do not know (do not distinguish and recognize, have knowledge of and understand).” Those things you run to a prophet or a man of prayer to inquire, get on ur feet or on ur knees and call on God urself, you will begin to see them, the era of weak Christians who know nothing of God is over, don't be obsolete. The season of pray for me brother will fade soon, for men will pray themselves and subject the workings of darkness. It cannot be revealed until you have called. Build your altar of prayer today some will depend on it. You don't win a battle from the physical or natural, you conquer it in the spiritual. There's a personality inside of you as a child of God. Or better still, there's a great potential in you as a child of God. And losing that potential or neglecting such personality is and will be very catastrophic. No one after lighting a lamp covers it with a bowl or hides it under a bed. Instead, the person puts it on a lampstand so those who come in will see the light. Luke 8:16. The personality to live by or rather still, our defined personality by God is that We are Light. We are the light of the world. But unfortunately, many have copied darkness because they see it more acceptable by those under it's governee. But our personality is that of Light. And this Light is the Gospel of Our Lord Jesus Christ. You are not a Child of God if your life can not be guessed as a life belonging to God and Godliness. We must always show the light inside of us as children of God. Imagine you and ten others in a dark room where there's no Light. You might actually come for something very important, but because there's no light, you will have to wait. And in such circumstances, it's not the issue on ground that will be discussd but something jovial. It's the same with us, until we let the light of the gospel impact us and we take it to others, people will continue doing something that doesn't make sense. If we look at light too, it does not stereotype. It gives light to a male and female, tall and short, white and black and every other species. So we must not also limit our message (light) but preach it to everyone who come in contact with us. You don't have to limit your light from other religious or beliefs adherer. Let your light so shine before Men. Not every prayer produces result; many people pray but few obtain answers. 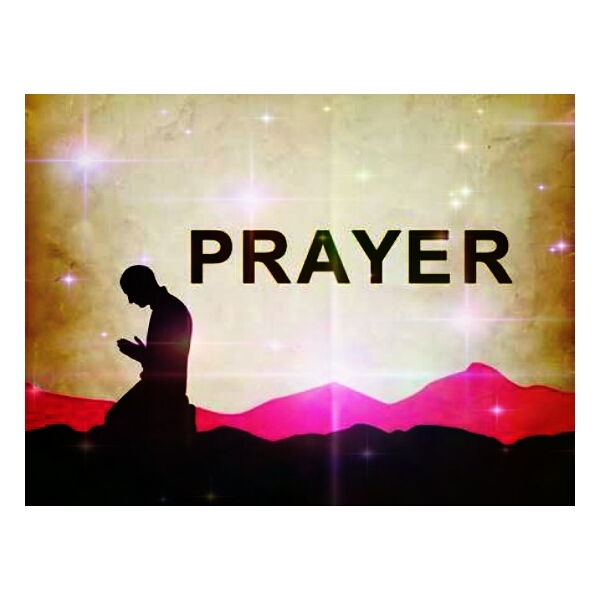 There are factors that can help you to pray in a way that it can produce the intended result. When you pray, you are giving earthly approval for heavenly involvement. Matt.18:18 -Verily I say unto you, whatsoever ye shall bind on earth shall be bound in heaven: and whatsoever ye shall loose on earth shall be loosed in heaven. Prayer is communicating with God on the basis of His word and our relationship with Him. There are certain ingredients that can produce result when applied during prayer. Effectiveness in prayer is not measured by your acrobatic display or by the extent of noise you make while praying. Effective prayer is not measured by the volume of tears you shed; it is not also measured by your complaints.Heb.4:12 – For the word of God is quick, and powerful, and sharper than any two-edged sword, piercing even to the dividing asunder of soul and spirit, and of the joints and marrow, and is a discerner of the thoughts and intents of the heart. God’s word reveals His will, His ways and His promises to you. God’s word is a very vital instrument during prayer because it communicates God’s desires and His ways to us. When you know His words, you know what He actually wants and expects from you. Knowledge of God’s word will also help you to know the capacity of what He can do. A good knowledge of God’s ways will grant quick answers to prayer. Daniel.11:32b – … but the people that do know their God shall be strong, and do exploits. God’s word reveals His person, His abilities and capabilities; thus, if you know God’s words, it then means that you know God. You cannot do exploit without the knowledge of God’s word.James 4:3 – Ye ask, and receive not, because ye ask amiss, that ye may consume it upon your lusts. Knowledge of God’s word will also enable you not to ask amiss. It is not every request made in prayer is granted because some people ask amiss in prayer. When you know God’s word, you will ask in line with His word and not deviate. To win a case in court, a lawyer must cite relevant laws and references applicable to that situation. With that, the judgement will be delivered on his behalf. So also, when you appear before the supreme court of the entire universe, you ought to refer to the constitution which is the word of God and cite scriptures relevant to your request. God is always looking for opportunities to honour His word. Isaiah 43:26 -Put me in remembrance: let us plead together: declare thou, that thou mayest be justified. God’s word guides us to the use of scriptural language in prayer. When you speak scriptural language in prayer, God’s response will be favourable because you are speaking His language. Therefore, speedy delivery of answers to your prayer is tied to your correct use of scriptural language because God cannot break His word or that which has come out of His lips. You can obtain wisdom on how to approach prayer in various dimensions from God’s word. There is a dimension of talking with God and another dimension of addressing the devil. The Lord is holy by nature. This means that He cannot look upon sin with approval, so He must condemn transgression. Second, God is just. As a result, all wrongdoing—without exception—must be punished (Rom. 6:23). The Lord’s every action must be consistent with His nature. We all fall short of God’s perfect holiness, and He is unable to fellowship with us in our fallen state (Rom. 3:23). But our heavenly Father desires an everlasting relationship with us. So He provided the solution by sending His Son Jesus to earth—to live as a man and die on the cross. This is the ultimate expression of love. As 1 John 4:10 states, “In this is love, not that we loved God, but that He loved us and sent His Son to be the propitiation for our sins.” The wise will accept the free gift of salvation. That is, they will receive Jesus as their personal Lord and Savior and commit to follow Him. What is your response to His amazing love? John 3:16-21; 16 For God so loved the world that He gave His only begotten Son, that whoever believes in Him should not perish but have everlasting life. 17 For God did not send His Son into the world to condemn the world, but that the world through Him might be saved.18 "He who believes in Him is not condemned; but he who does not believe is condemned already, because he has not believed in the name of the only begotten Son of God.19 And this is the condemnation, that the light has come into the world, and men loved darkness rather than light, because their deeds were evil. 20 For everyone practicing evil hates the light and does not come to the light, lest his deeds should be exposed. 21 But he who does the truth comes to the light, that his deeds may be clearly seen, that they have been done in God." The Greek word for comfort (paraklesis) means “to come alongside and help.” Jesus is called our parakletos (advocate) in 1 John 2:1. The Holy Spirit is another advocate or comforter (John 14:16–17). Paul asserts that God is “the God of all comfort” (2 Corinthians 1:3). The triune Godhead—Father, Son, and Holy Spirit—is there with us in our pain. By saying God is the “Father of our Lord Jesus Christ” (vv. 2–3), Paul reminds us that coming alongside to help each other is a family duty and privilege (v. 4). When a definite strong idea is held consistently in the imagination, it can actually change the biochemistry of the brain so that it is no longer programmed for failure or defeat but programmed for success. When the brain is programmed by the power of thought and imagination, it can achieve unprecedented things. The power of thought is the only thing we have control of. The truth is, no one can stop you from thinking. You have the power of thinking. Your thoughts become your words; and if you change what you think or imagine, your conditions will change. You are a product of your thoughts. Scientists have seen that thoughts and mental images can initiate psychological changes, and the physical and chemistry parts of our bodies. But no matter the field of your endeavour, when you think with the law of faith and the free use of your imagination, you will exceed more than everyone’s expectations, even yours, and the world will change into success for you. A great scientist said, ‘The greatest discovery of any generation is that human beings can alter their lives by altering the attitudes of their minds’. Romans 12:2 – And be not conformed to this world: but be ye transformed by the renewing of your mind, that ye may prove what is that good, and acceptable, and perfect, will of God. You renew your mind by getting new information. You will always think the way you think unless you get new information. New information makes you renew the way you have always seen things or thought. If you programme your mind consistently with great emotion and dedication, you will see God’s promises fulfilled in your life. Imagination means forming mental images or concepts of what is not actually present to the senses. It is a conception of mental creation. Imagination also means to think, believe and assume. God gives you imagination because imagination keeps you going on in life. Every time you have faith, you are imagining what you hope will happen. Faith is what you hope for; though not physical to your five senses but you believe will be. When God poured out His Spirit upon us, He wants us to prophesy about what we want to happen, dream about what we want to see, and have visions about what He has laid upon our hearts. The words ‘imagination’ and ‘meditate’ are the same word in Greek. Both words are ‘melatao’ in Greek. The word ‘melatao’ means imagination and to meditate. From the above scripture, God wants you to make your ways prosperous by the power of your meditation and imagination. When you imagine something and follow it through, it becomes a reality. Therefore, don’t expect or imagine anything that is contrary to the word of God. Unknowingly, people expect evil. They imagine all sorts of evil that are not scriptural befalling them. Some will imagine that their children will not come back from school. Through negative imagination, they dream that someone close to them died. They imagine failure, poverty and even family crisis. Some imagine divorcing when they are not even married yet. I have seen women imagining being barren before they even get married. Satan capitalizes on negative imaginations of believers to attack them. I decree that no evil imagination will stand in your mind anymore in Jesus name! If you imagine any evil, it will come to pass; therefore, expect only good thing. Expect to see yourself alive and fruitful because only the expectation of the righteous that will be granted. Don’t expect anything contrary to the word of God. I decree into your life that ;The Lord will visit you today and establish His prosperity into your life.May the peace of God and the freshness of the Holy Spirit rest in your thoughts, rule in your dreams, and conquer all your fears and worries.Your joy will be multiply and never experience any form of sorrow.Your good dreams will manifest and your prayers be answered. From now on you are a Winner and a Victor. God's mercy and favour will never leave you. God will always be your shield and fortress. May God enlist you among those that will be celebrated this month,and months to come. You will not fall from the top that the lord have placed you in Jesus name. I pray for you today, whatever is evil will not see you! You are touch-not to evil; even poverty will be far from you! All arrows of the wicked will not see you. The aircraft, car or boat you board shall arrive safely. Evil will clear from your path henceforth! You will end this year well in Jesus name –Amen! 1.Father, please, reveal Your Son to me. 3.Thank You for Your amazing love.